Boy do I have a delicious treat for you–a cookbook to be exact. Several weeks back, HCI Books generously provided me a review copy of Vegan Yum Yum by Lauren Ulm, and Morgan and I have been having so much fun trying the recipes. Sure, this book has been on the shelves for a couple of years now, but a cookbook doesn’t need to be hot off the presses to be worthy of a review. In fact, some of my favorite cookbooks have long since gone out of print. Of course, this book isn’t THAT old, but you get my drift. 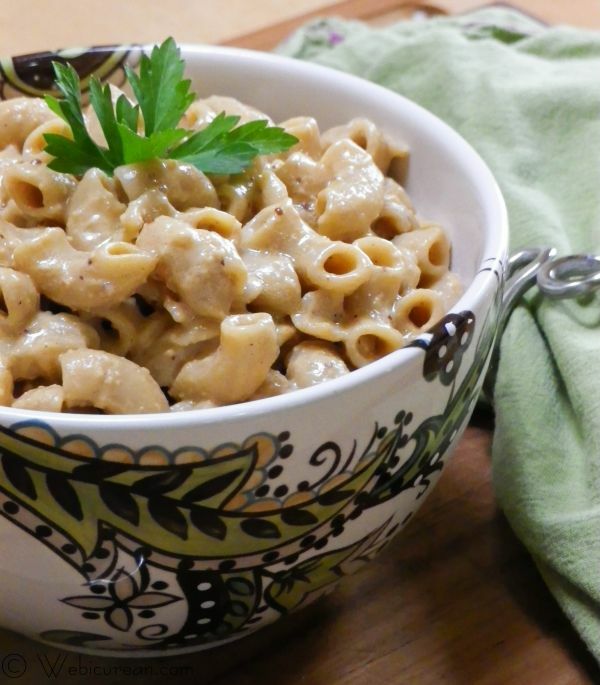 Since one of the recipes pre-approved for posting is Ulm’s Hurry-Up Alfredo, that’s what we’re cooking today. Several years ago, Ulm started her hobby vegan blog, Vegan Yum Yum, with a goal of providing recipes that other vegans would find helpful and tasty. 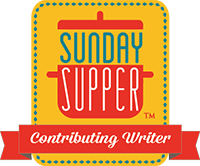 The blog was a success, garnering kudos from vegans as well as non-vegans alike. And that’s the ultimate accomplishment, right? When your non-vegan friends tell you wow, this is good. Fast forward a couple of years, and Ulm had her first cookbook under her belt. And I’m here to tell you, as a non-vegan (heck, I’m not even vegetarian), wow, this food is good. First, there are over 250 pages packed with recipes along with big glossy pictures of each. Everything is covered from breakfasts, to appetizers, to drinks. There’s even a chapter devoted to sauces. I mean, who wouldn’t want to try making their own vegan Worcestershire sauce if they knew how easy it was? The instructions are well written and easy to follow, plus there are lots of helpful tips along the way. So far we’ve tried the Seitan Black Bean Corn Burgers, which had great flavor and were very satisfying. We’ve also tried the Sweet Chili Lime Tofu, the Sesame Ginger Seitan Dumplings, and the Broccoli Almond Sweet and Sour Tofu, all of which Morgan has requested over and over. 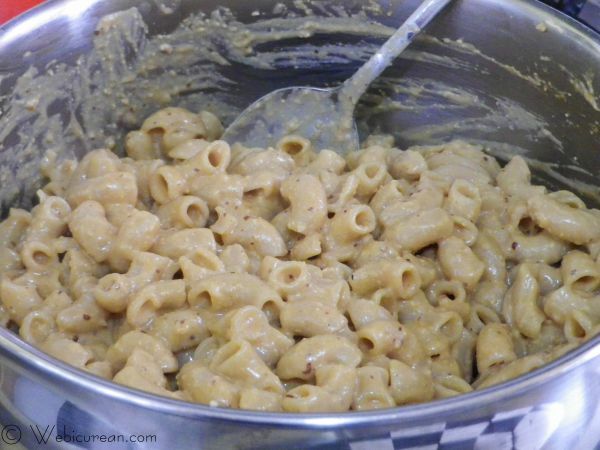 Then there was this variation of the Baked Mac and Cheeze which I made recently, and last but not least, the Hurry Up Alfredo below. Phew! That’s a lot of good food, and no disappointments yet. As I continue to learn about vegan cooking, I look forward to trying more of the recipes in this book, such as the Creamy Tomato Barley Risotto (would that be barlotto?) and the Gnocchi with Thyme Vinaigrette and Cashew Cream. Must be the Italian in me. In any event, the recipes here are mostly budget friendly and truly gourmet. Regardless of whether you’re vegan, this is a great book to add to your collection. Now, let’s get cooking that Hurry Up Alfredo. As you can imagine from the name, it’s a quickie. 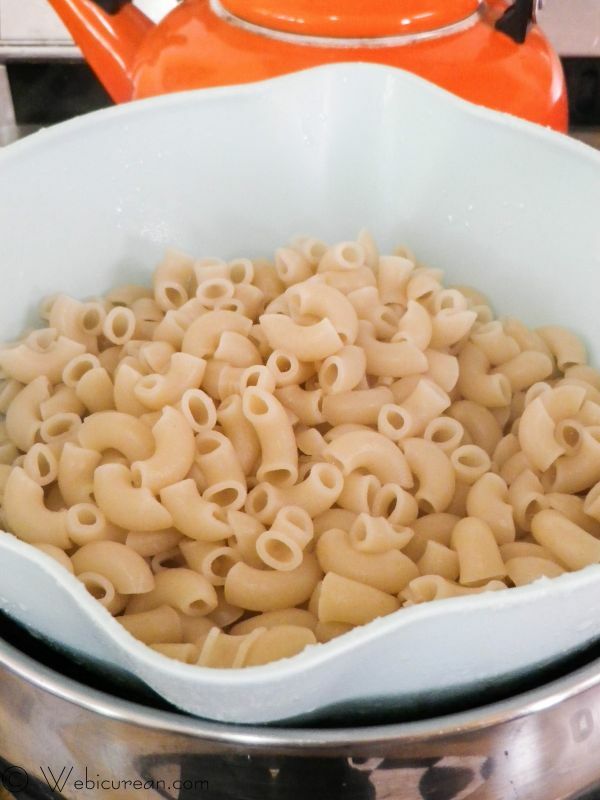 First, get the pasta going–boil up 3 cups of any small pasta according to package directions. I used elbows here but only because I was out of those cute little shells. 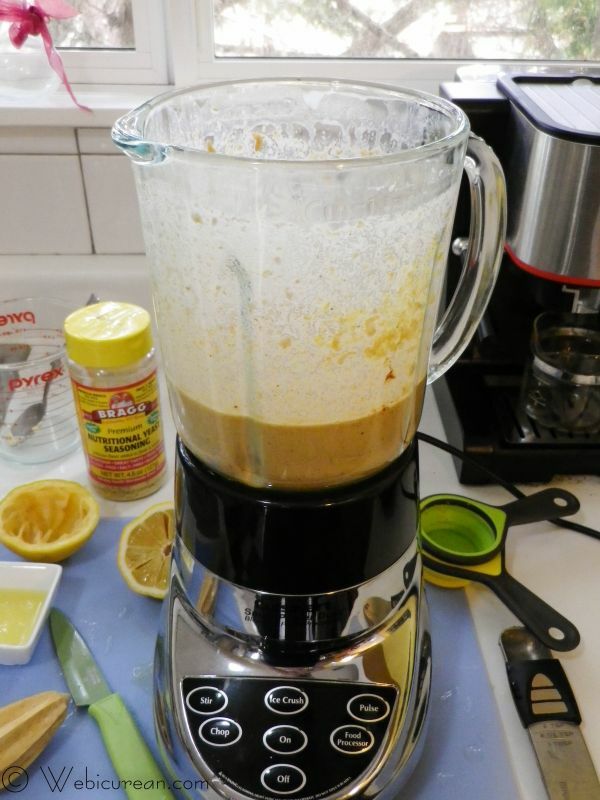 Next, put all of the Alfredo sauce ingredients into a blender, and whirl until smooth. How easy was that? Once the pasta is cooked, drain, then mix with the sauce in the pot, and heat until piping hot. Serve yourself a generous portion. 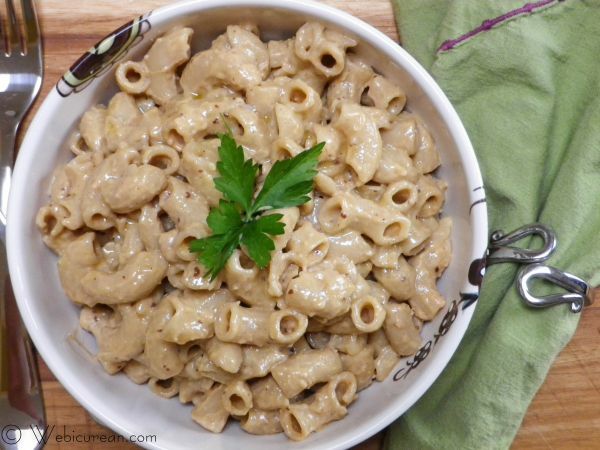 Creamy and super easy, this vegan pasta Alfredo makes the perfect weeknight supper. Reprinted with permission. Bring a pot of salted water to boil and add the noodles. Cook until tender but not mushy. When the noodles are finished cooking, drain them well. Add the noodles back to the now empty but still hot pot and pour as much sauce as you want over them. Turn the heat on and gently stir until the noodles are piping hot, adding in your optional veggies or herbs if you're using them. Serve immediately. Note: HCI Books generously provided a copy of this book to review, and all opinions expressed above are my own. 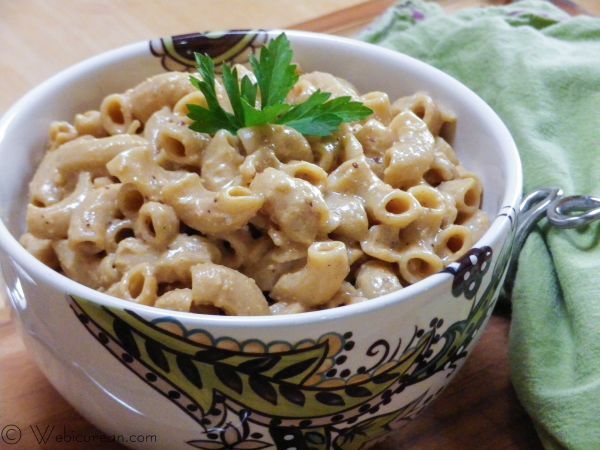 The Hurry Up Alfredo recipe is reprinted here with permission. Also note, I earn a modest commission for any purchases made through the Amazon.com links on this page. by Lauren Ulm. (HCI; August 2009; $18.95/Paperback: ISBN-13:978-0757313806).